Obamacare could be Donald Trump’s Brexit. The U.S. president-elect and the Republican Party have vowed to rip up his predecessor’s Affordable Care Act. Like Britain’s vote in June to withdraw from the European Union, there’s no plan for what comes next. More than 20 million people and nearly a fifth of the economy will be affected. Some 11 million Americans are now enrolled in state or federal marketplace insurance plans created under Obama’s signature 2010 law. About 15 million more have received coverage through Medicaid, the U.S. healthcare program for the poor. 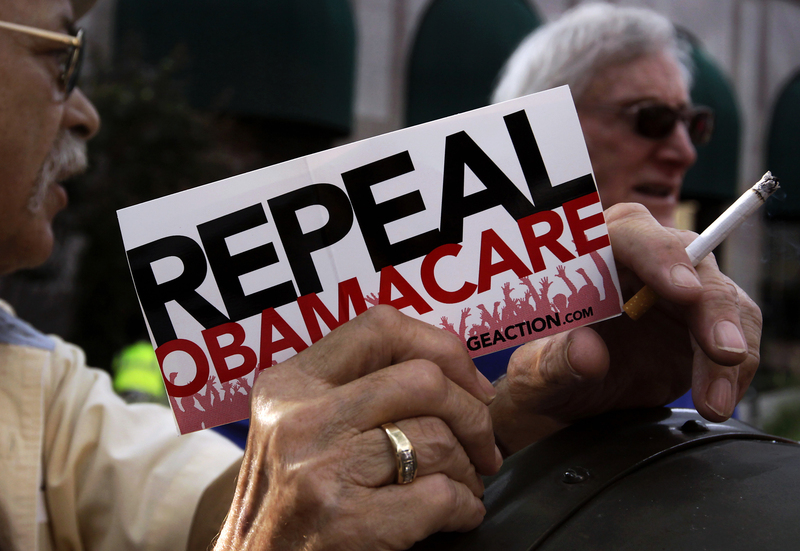 Republicans in Congress have tried to repeal Obamacare more than 60 times since it was passed and subsequently upheld by the U.S. Supreme Court in 2012. The plan scores poorly in surveys. Nearly half view it unfavorably, according to The Kaiser Family Foundation. Rates are set to rise dramatically in many areas, too. Even so, eliminating healthcare insurance availability for so many people could be even more unpopular. There may be some politically popular steps the GOP could take. Eliminating fines on those without insurance and gutting various taxes that help pay for the program are two examples. That might make the system less valuable to patients and increase deficits, however. Ending subsidies for insurance buyers and rolling back Medicaid would be even tougher. Trump vaguely promised “something great” would replace Obamacare. Tax credits for buyers of insurance, allowing insurers to write policies across state lines and more flexible grants of Medicare funds to states are possibilities. The net result probably would be fewer people with healthcare insurance, hurting parts of a vast system that accounts for $3 trillion of U.S. GDP. The ACA brought new insurance customers and thus less bad debt for care providers. Insurer Centene’s market value grew sixfold under Obamacare. Its shares fell 17 percent after Trump’s victory. Similarly, stock of hospital chain operator HCA had tripled since going public in 2011, but tumbled 15 percent on Wednesday. Drugmakers like Pfizer rallied on reduced fears of price controls under a Republican regime. The excitement could be premature, however. Trump has said he was in favor of importing pharmaceuticals and letting Medicare negotiate prices. Fewer insured patients also probably means fewer prescriptions. Given the lack of policy direction, it’s hard to know how to allocate capital. If the new president follows through and scraps Obamacare, there’s just no telling what Trumpcare would be. A small group of demonstrators stand outside of of a hotel before former South Carolina Senator Jim DeMint, president of the The Heritage Foundation, speaks at a "Defund Obamacare Tour" rally in Indianapolis, Indiana, U.S. August 26, 2013. Republican Donald Trump won the U.S. presidential election held on Nov. 8, while his party held majorities in both the Senate and House of Representatives.